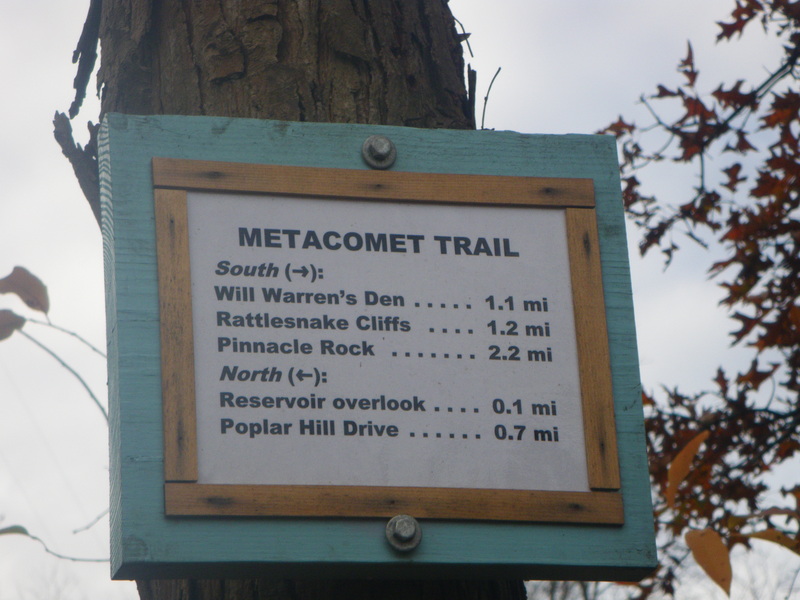 Metacomet Trail from Route 6 to Warren’s Den to Rattlesnake Cliffs to Pinnacle Rock. 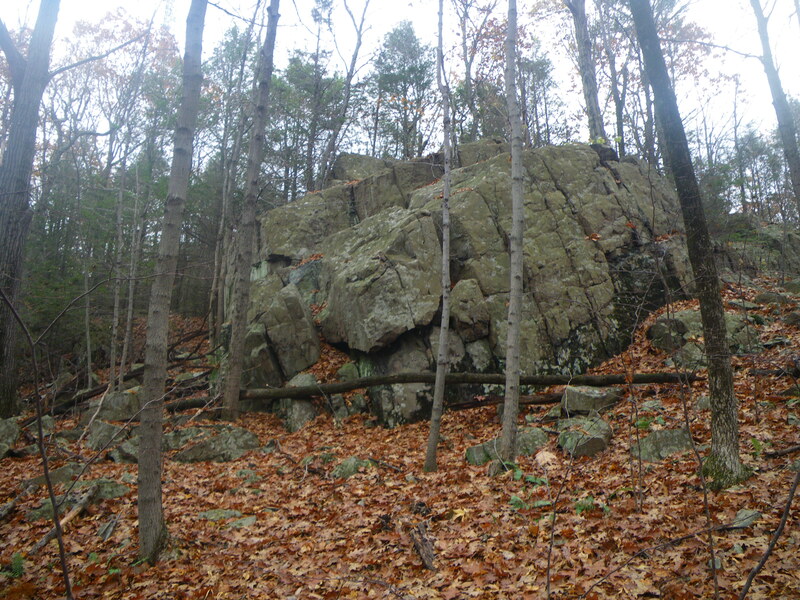 Another Connecticut trail full of history, rocks and beauty. 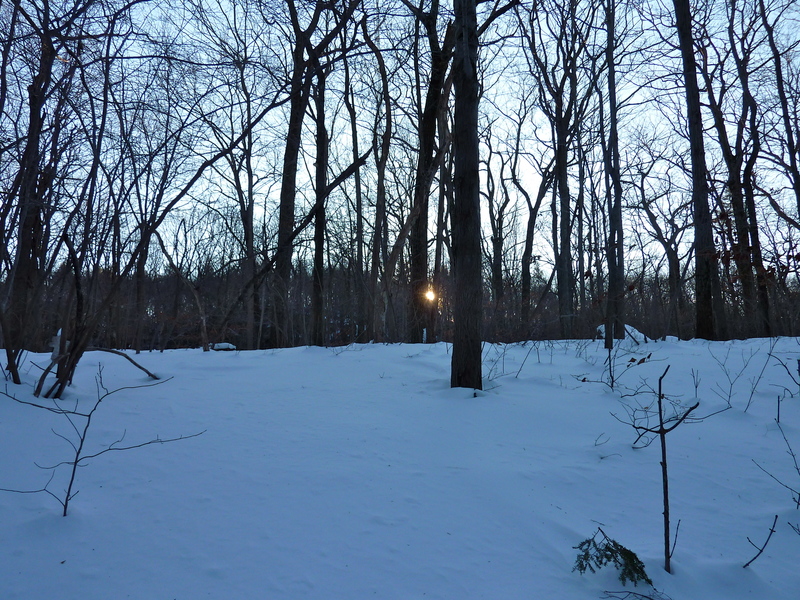 This is one of my go to trails for all seasons and all levels of exercise. 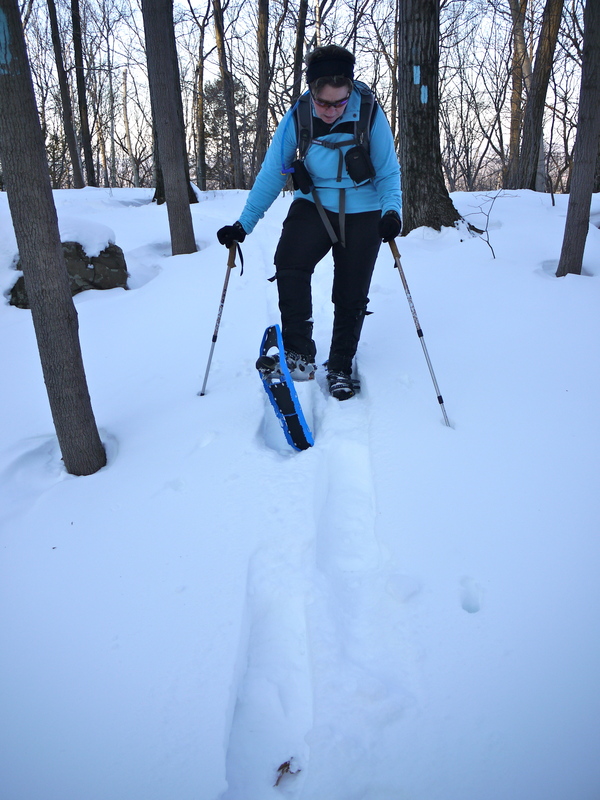 This winter we started snowshoeing and it is a perfect trail to practice snowshoeing techniques. 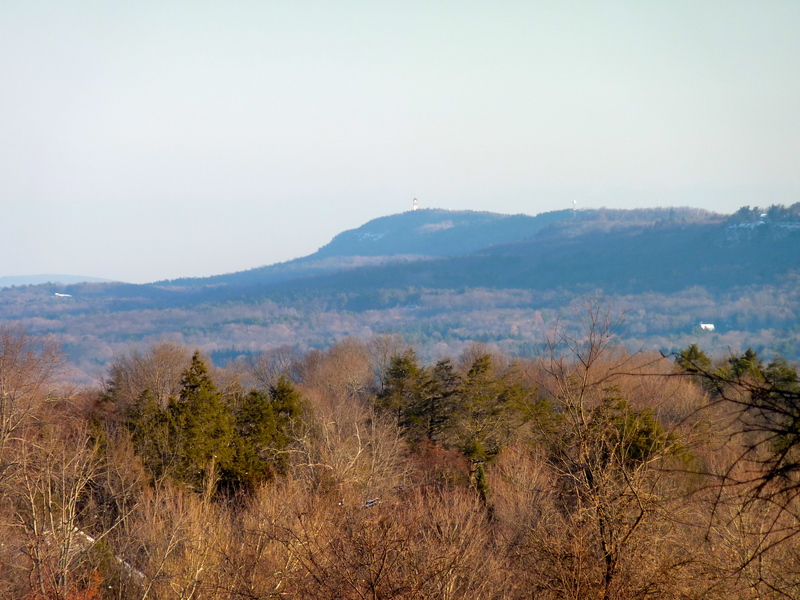 On clear days within the first .25 miles you can see Heublein Tower off in the distance. 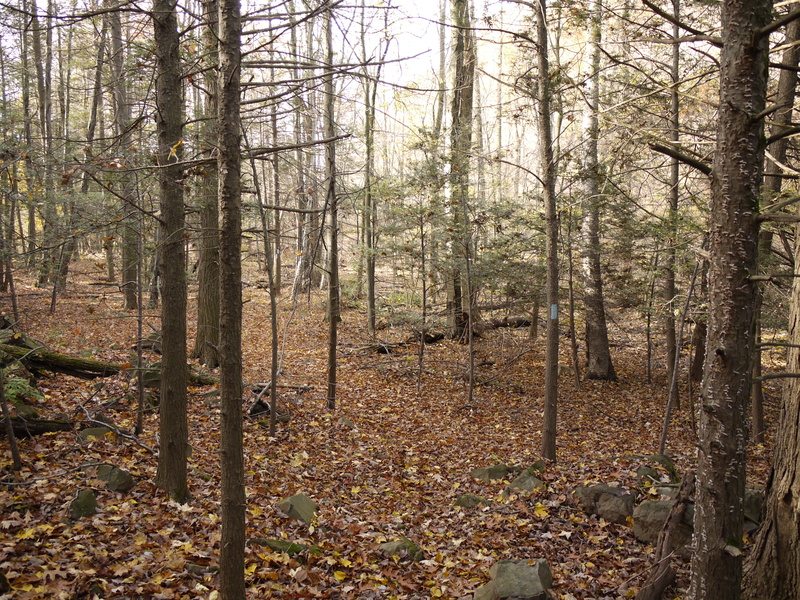 The trail cuts in and out of level forests to moderate inclines to trudge up or down. 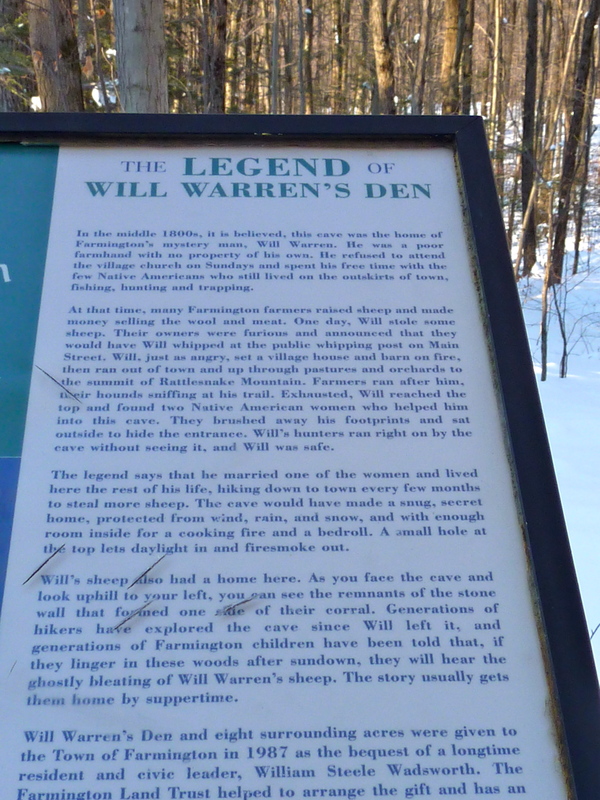 Once you reach Warren’s Den you are treated to an informational plaque and great rock formations to explore. 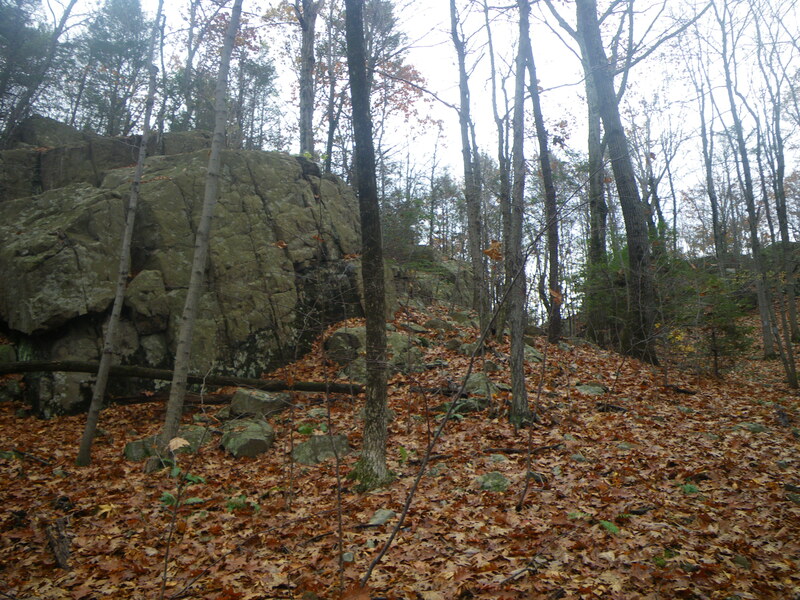 If you continue past Rattlesnake you travel through more of the Metacomet Trail to Pinnacle Rock, a rock climbers haven. (from rt. 6 it is 2.4 miles). 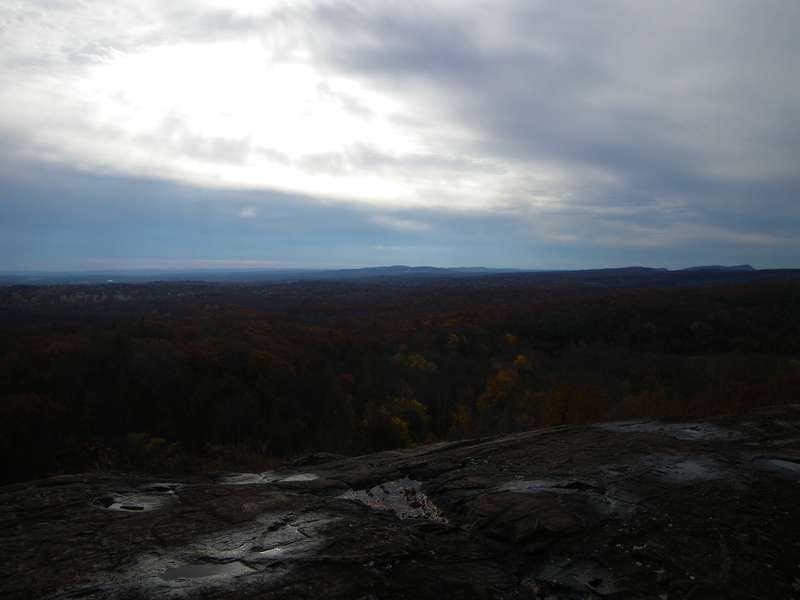 Bring a snack and hang out for a while on Pinnacle Rock before resuming your hike back to Route 6. Anytime of year this is a great hike. My favorite season is winter with snow decorating the landscape. The Details: Park off road on Rt. 6 Farmington (a small parking area is provided and yes it is plowed). 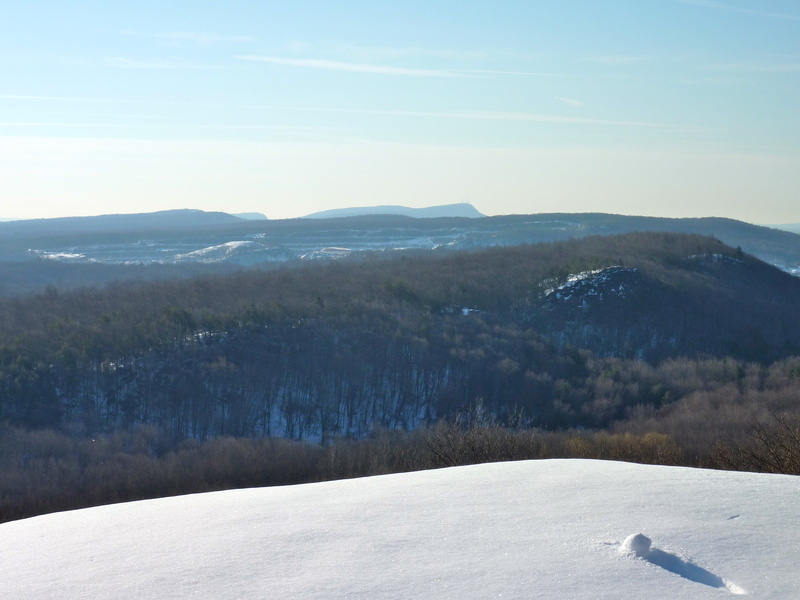 1.1 miles to Warren’s Den, but go the extra .1 mile to Rattlesnake Cliffs for the views. 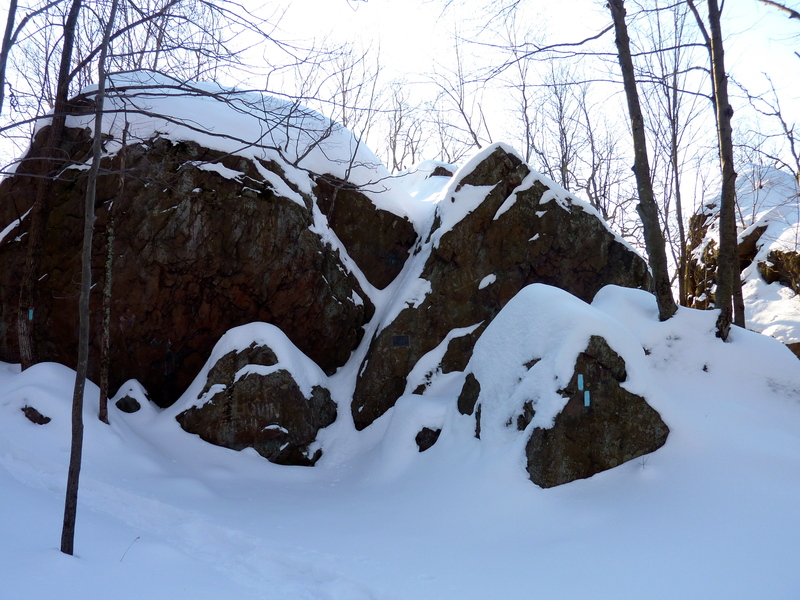 If you want continue on for another 1.2 miles to Pinnacle Rock. 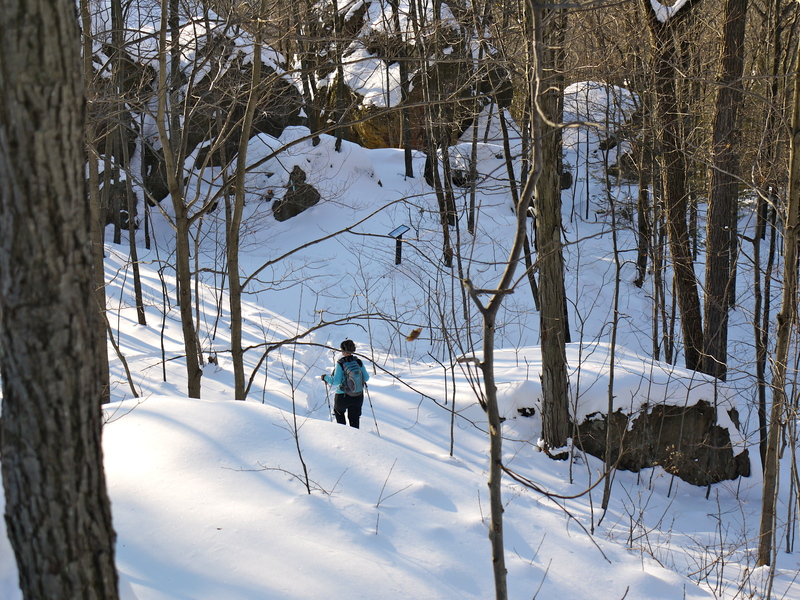 This is not a time-consuming hike (unless you are snowshoeing). 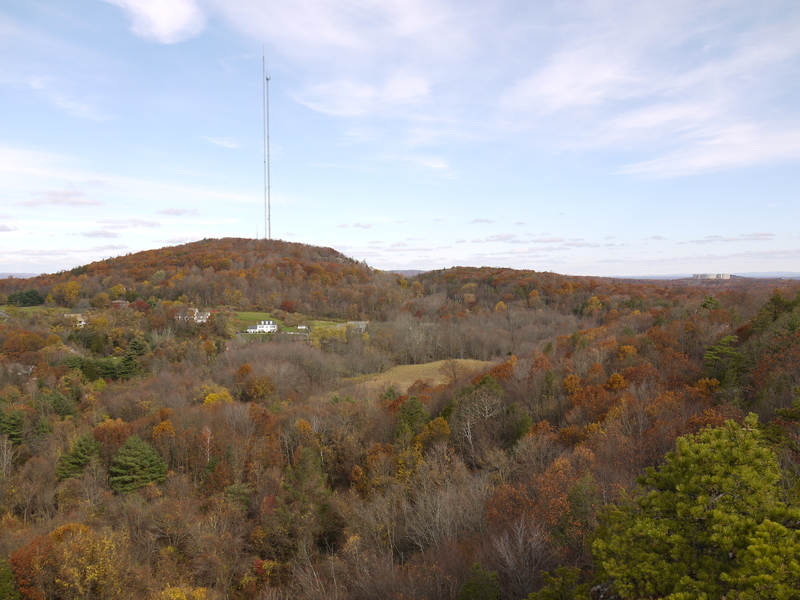 Great views, lovely forests and fun ups and downs make this a fun hike, especially for a family outing. Where exactly on Rte. 6 in Farmington does this start? If you are at the five corners (roads birdseye, feineman and rt 6), it is 1.3 miles on your left. There is a pull off parking area on your left. the trail is right there. 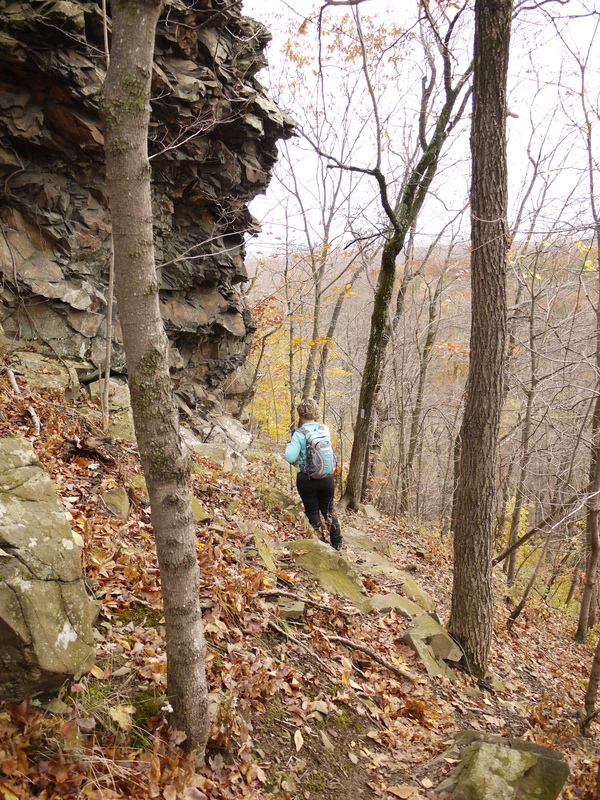 We did the hike yesterday, there was a climbing class going on at Rattlesnake cliffs. Wildflowers are popping up all over. Enjoy the hike. Great post! I love all the beautiful pictures and the concise directions and descriptions for getting to and navigating the route. Makes me wish I was closer to that area so I could hike the trails you bring to life in your writing.